I just bought a neon yellow silk shirt 50% off at JCrew. I was really excited about the purchase but kind of unsure about what I could wear that color with. 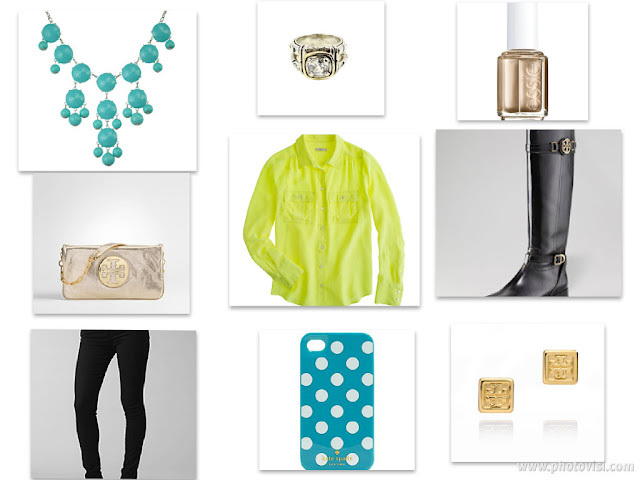 It's highlighter yellow and typically I don't wear something so bright. 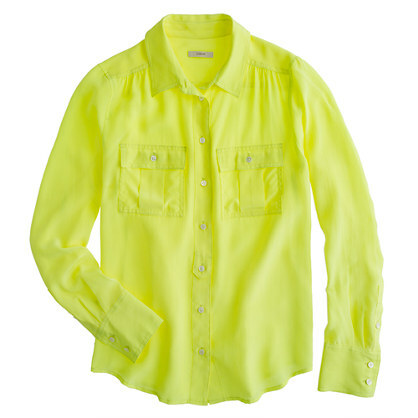 Even though neons were more of a summer color, how can you resist half off a great silk shirt? Here are three ways I'm going to style my new bright button down. Can you tell that I love Tory Burch, JCrew and Baublebar? 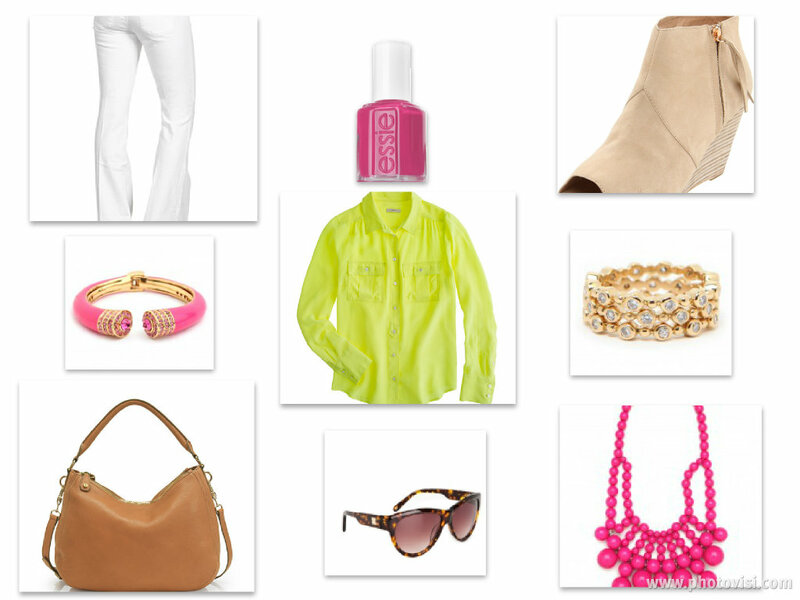 What would you wear with the brightest item in your closet?